Dissertation:"Phytosociological study on mantle community of Japan"
2001-2005 Associate researcher of Snow Management & Construction Technology Research Center of Fukui Pref. (1) Vegetation of Japan; all volumes (collaboration). Shibundo. 1980-1989. (2) Vegetation of Japan illustrated (collaboration). Shibundo. 1990. (3) Miyawaki, A. and Y. Murakami. Vegetation of Fujinomiya City. 177pp. 1987. (4) Murakami, Y. and A. Miyawaki. 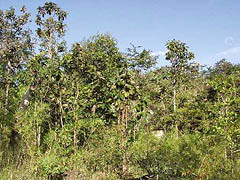 Fagus forests in Chichibu mountains. Bull. Ins. Env. Sci & Tech, Yokohama Nat. Univ, 15(1): 103- 117.1988. (6) Murakami, Y. Mantle communities in the Nanasei Islands, southwestern Japan. Jpn. J. Ecol,41: 191-208. 1991. 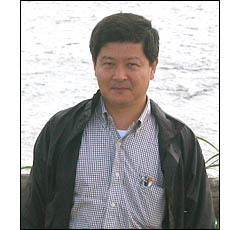 (7) Murakami, Y. Phytosociological study of the Abies homolepis-Tsuga diversifolia forests in the Chichibu mountains. Eco-Habitat, 1: 1-13.1994. (8) Murakami, Y. Heliophilic mantle communities in Japan. Phytocoenologia, 25: 107-152. 1995. (9) Murakami, Y. and S. Meguro, et al. Woody vegetation in Bintulu and Similajau National Park, Malaysia. Eco-Habitat, 3: 1-17. 1996. (10) Murakami, Y. and Y. Nakamura. 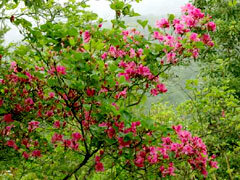 Phytosociological study of dynamic and edaphic vegetation in the Tanazawa maountains. Reports of nature environment in Tanzawa-Ooyama mountains, 122-167. 1997. (11) MURAKAMI, Y., Y. NAKAMURA & Y.C. SONG. Scrub and grassland vegetation in rural landscape area of Tiantong National Forest Park, China. Eco-Habitat, 6:45-63. 1999. (12) Murakami, Y. Mantle communities in hilly region in Japan. Eco-Habitat, 7: 25-71. 2000. (13) Murakami, Y. Vegetation of seven retention basins in Yokohama City. Eco-Habitat, 8: 65-74. 2001. (14) Murakami, Y. Y. Nakamura and S. Suzuki. A phytosociological study of Okawa-mura in Kochi prefecture, Japan. Eco-Habitat, 9: 25-84. 2002. (15) Murakami, Y., Y. Nakamura and Y-C. Song. Mantle communities in eastern China. Eco-Habitat, 10: 123-145. 2003. (16) Murakami, Y. and T. Yagasaki. Phytosociological study of wetland-vegetation of riverhead area in Yokohama city . The organisms of river and sea in Yokohama, 10: 127-150. 2004. (17) Murakami, Y. Phytosociological system of Japanese mantle communities. Eco-Habitat, 11: 13-48. 2004. (18) Murakami, Y. Ecological characteristics of Japanese mantle communities. Eco-Habitat, 12: 11-30. 2005. (19) Murakami, Y. 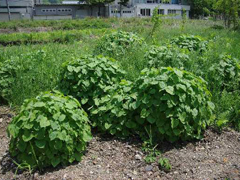 A phytosiological study of annual fringe communities in Japan. Eco-Habitat, 13: 43-58. 2006. (20) Murakami, Y. Vegetation change in the Tanzawa Mountains under the influence of deer. Eco-Habitat, 14: 19-33. 2007. (21) Murakami, Y. and A. Ando. Succession of urban riverside vegetation during a five years period without artificial disturbance. Eco-Habitat, 15: 11-29. 2008. (22) Murakami, Y. Basic recognition of phytosociology. Vegetation Science News, 13: 15-18. 2009. (23) Murakami, Y. and H. Nishikawa. Comparative study between lakeside and riverside vegetation at the eastern shore of Lake Biwa. Eco-Habitat, 16: 13-52. 2009.